Ramadan mubarak 2018 is the ninth month in our Islamic calendar. 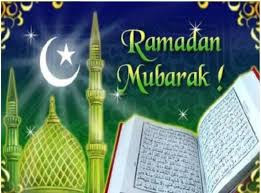 Ramadan also known as Ramzan or Remadhan , it is a 30days time when our Muslin society worldwide around the world focus on prayer, fasting, giving to charity, and religious devotion. This word Ramadan comes from the Arabic root ramid or ar-ramad, which means scorching heat or dryness. Fasting is for adult, except those who are suffering from an illness, travelling, are elderly, pregnant, breastfeeding, diabetic, chronically ill or menstruating. Fasting the month of Ramadan was made obligatory during the month of Shaban. It is belived that, The Quran is first revealed to our lovely prophet Muhammad (Mohammad or Muhammed) during this month of Ramadan. The first revelation was sent down on Laylat al-Qadar which is one of the five odd nights of the last ten days of Ramadan worship of ALLAH, also generally believed to have occurred on odd-number night worship during the last ten days of Ramadan i.e, the night of the 21st, 23rd. 25th. 27th,or 29th. Suhur also known as sehri each day, before dawn, we observe a pre-fast meal called Suhur. That pre-fast have a time period of fajr Adhan/ Azan, after azan call we go to offer the namaz and the fasting is start on that time. At sun set, families hasten for the fast breaking meal known as Iftar according to traditional, Our lovely prophet Muhammad brokes fast with dates. Following that, we also start open fasting with few date after that we eats other thing, and as going to offer asr namaz. Time and Date helps people find out when the sun rises and set in the area. All timer adjusted for local time zones and daylight saving time. I8 hope that this article has planted a seed of curiosity in the reader, and has prompted him or her to learn more about True Islam in a unbiased, and fair manner.